Nodular fasciitis is a rare benign lesion. Here we report a case of post-auricular nodular fasciitis, which was misdiagnosed by fine-needle aspiration cytology (FNAC) as pleomorphic adenoma. An 18-year-old male presented at Al-Nahdha Hospital, physical examination revealed a right post aural firm immobile mass. Radiology suggested the presence of a hypo-dense to iso-dense subcutaneous mass. The swelling was excised and sent for histopathological examination which suggested the diagnosis of nodular fasciitis. FNAC reported pleomorphic adenoma of unusual location should raise the suspicion of nodular fasciitis. Nodular fasciitis is a benign rapidly growing lesion that usually occurs in the subcutaneous tissue of upper extremities, such as the trunk, head, and neck of young adults. We present what we believe is the first case of post-auricular nodular fasciitis in Oman. Figure 1: (a) Right postauricular mass. (b) Bulge and ulceration over posterior wall of the right external auditory canal. (c) Computed tomography scan of the temporal bone, axial cut, showing right postauricular hypodense to isodense mass. An 18-year-old male presented to our clinic with right post-auricular swelling that had lasted six months. The swelling was painless and slowly increasing in size. It was first noticed after shaving over the area. The patient had a history of occasional bleeding from the right ear. On examination, there was a right, non-tender, firm, post-auricular mass measuring about 3cm by 6cm [Figure 1a]. The swelling was immobile and attached to the skin; however, there were no skin changes or signs of inflammation. Examination of the right external auditory canal revealed a bulge on the posterior wall with small area of laceration and crusting [Figure 1b]. Examination of the tympanic membrane, the rest of ears, nose and throat, and head and neck were unremarkable. Figure 2: Fine needle aspiration: Small cohesive clusters of cells with round to oval nucleus and moderate cytoplasm. Magnification=200×. A computed tomography (CT) scan of the temporal bone showed a right post-auricular hypodense to isodense subcutaneous mass with homogeneous enhancement with IV contrast [Figure 1c]. There were no bony erosions. Fine needle aspiration cytology (FNAC) showed small cohesive clusters of cells with round to oval nuclei and moderate cytoplasm. Strands of fibromyxoid material was seen [Figure 2]. The overall picture suggested a diagnosis of pleomorphic adenoma. The mass was excised through a post-auricular incision. It was firm in consistency, approximately 4cm by 3cm in size, attached to the underlying post-auricular muscles (the periosteum and the conchal cartilage), and eroding through the posterior wall of the external auditory canal [Figure 3]. Histopathological examination showed a 5cm by 2.5cm by 2cm irregular mass with a gray and brown cut surface with papillary like projections. 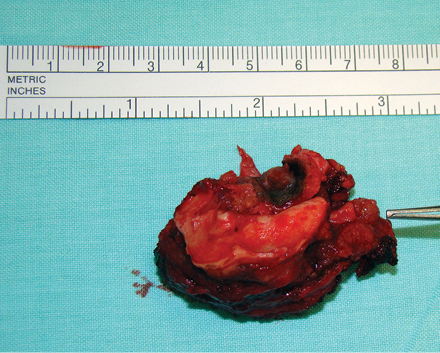 Figure 3: The right postauricular mass specimen with piece of conchal cartilage, it was approximately 4cm by 3 cm in size. Figure 4: (a) Plump spindle-shaped cells in a loose myxoid feathery or tissue culture background. Magnification= 100×. (b) Extravasated red blood cells. Magnification=200×. (c) Cells showed frequent mitosis (arrow). Magnification=400×. (d) Scattered multinucleated giant cells. Magnification=200×. [Figure 4a-d]. Immunohistochemical staining showed that spindle cells were positive for smooth muscle actin (SMA) and vimentin. Scattered CD68 positive cells were seen. Tests for cytokeratin, desmin and S100 were negative. The histopathological picture was in keeping with a diagnosis of nodular fasciitis. The patient was on regular follow up after the surgery for two years and there were no signs of recurrence. Nodular fasciitis is a benign lesion first described by Konwaler in 1955 when he called it pseudosarcomatous fasciitis. It is a reactive fibroblastic proliferation that commonly occurs in young adults, and presents as a rapidly enlarging mass over a number of weeks.1 It is a self-limiting disease and regresses in months. The longest known duration is 26 months.2 Nodular fasciitis is mainly seen in the upper extremities (48%) and trunk (20%).3 They also arise from subcutaneous tissue, muscles, and fascia,2,3 and from other areas of the body. Between 13% and 20% were found in the head and neck region.3,4 The lesion can be mistaken for sarcoma because of its rapid growth and high cellularity upon histopathological examination. The etiology of this condition is unknown. However, about 10% to 15% of cases had history of trauma.1 In the present case there was a history suggestive of minor trauma by shaving over the area of the swelling. Nodular fasciitis presents in three types: subcutaneous, intramuscular, and intermuscular (fascial).3 Thompson et al,5 reported that nodular fasciitis involving the external ear is more dermally situated with a tendency of superficial ulceration and bleeding, a picture similar to our present case. Weinreb et al,4 reported that in the head and neck region, the lesion had a tendency to be smaller in size, have increased skeletal muscle involvement (30%), and diffuse, strong actin expression compared to fasciitis elsewhere in the body. The patient’s CT scan showed homogenous enhancement. Shin et al,6 reported that nodular fasciitis lesions showed strong enhancement on CT and magnetic resonance imaging (MRI). Kim et al,7 concluded that nodular fasciitis should be included in the differential diagnosis in any head and neck mass with a superficial location and moderate to marked enhancement on CT and MRI, especially in patients with a recent history of trauma and rapidly growing mass. In our case, the CT scan findings were consistent with these reported features. Nodular fasciitis is a rare benign lesion that shares some morphological features with pleomorphic adenoma on histological examination. However, the former is distinguished by the presence of frequent mitotic figures. It should be considered in the differential diagnosis of any mass, reported as pleomorphic adenoma on FNAC, on an unusual location for a salivary gland neoplasm. Kumar V, Corton R, Robbins SL. Basic pathology. 6th ed. Philadelphia, Pennsylvania: Saunders; 1997. Kaur H, Mardi K, Sharma J. Nodular fasciitis of the hand – a potential diagnostic pitfall in fine needle aspiration cytology. Journal of Cytology 2007;24(4): 197-198 . Huang CD, Lin YH, Lee FP. Postauricular nodular fasciitis. Otolaryngol Head Neck Surg 2007 Jul;137(1):164-165. Weinreb I, Shaw AJ, Perez-Ordoñez B, Goldblum JR, Rubin BP. Nodular fasciitis of the head and neck region: a clinicopathologic description in a series of 30 cases. J Cutan Pathol 2009 Nov;36(11):1168-1173. Thompson LD, Fanburg-Smith JC, Wenig BM. Nodular fasciitis of the external ear region: a clinicopathologic study of 50 cases. Ann Diagn Pathol 2001 Aug;5(4):191-198. Shin JH, Lee HK, Cho K-J, Han MH, Na DG, Choi CG, et al. Nodular fasciitis of the head and neck: Radiographic findings. Clinical Imaging 2003;27(1):31-37. Kim ST, Kim HJ, Park SW, Baek CH, Byun HS, Kim YM. Nodular fasciitis in the head and neck: CT and MR imaging findings. AJNR Am J Neuroradiol 2005 Nov-Dec;26(10):2617-2623. 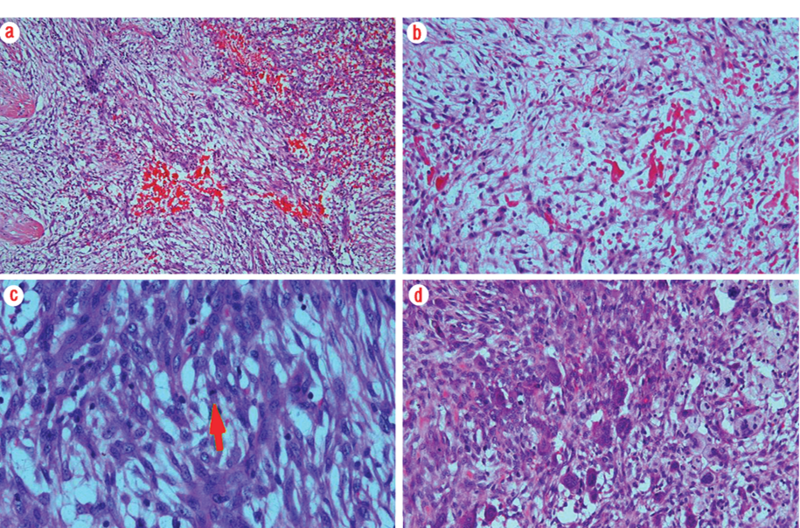 Jain D, Khurana N, Jain S. Nodular fasciitis of the external ear masquerading as pleomorphic adenoma: A potential diagnostic pitfall in fine needle aspiration cytology. Cytojournal 2008;5:14. Mallina S, Rosalind S, Philip R, Harvinder S, Gurdeep S, Sabaria MN. Nodular fasciitis: a diagnostic dilemma. Med J Malaysia 2007 Dec;62(5):420-421. Saad RS, Takei H, Lipscomb J, Ruiz B. Nodular fasciitis of parotid region: a pitfall in the diagnosis of pleomorphic adenomas on fine-needle aspiration cytology. 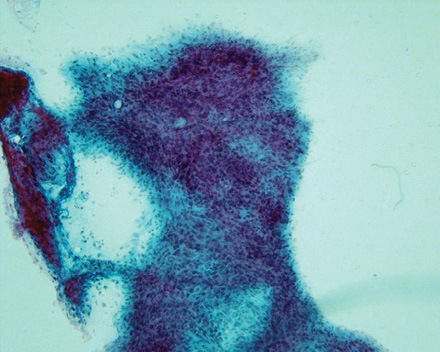 Diagn Cytopathol 2005 Sep;33(3):191-194.